My Take on it – Ever since I was a kid and saw three of the best movies about POW’s during WWII, I have been fascinated with the genre. Most of the movies don’t come anywhere close to being as great as Stalag 17 (1953), The Bridge on the River Kwai (1957) or The Great Escape (1963), but a few were worthy entries into the genre. This movie fits perfectly into that kind of classification; it will never be iconic like the big 3 mentioned above, but it also wasn’t a poor showing of the genre. They did an excellent job of showing how even as a prisoner, one can act with courage, honor and duty . 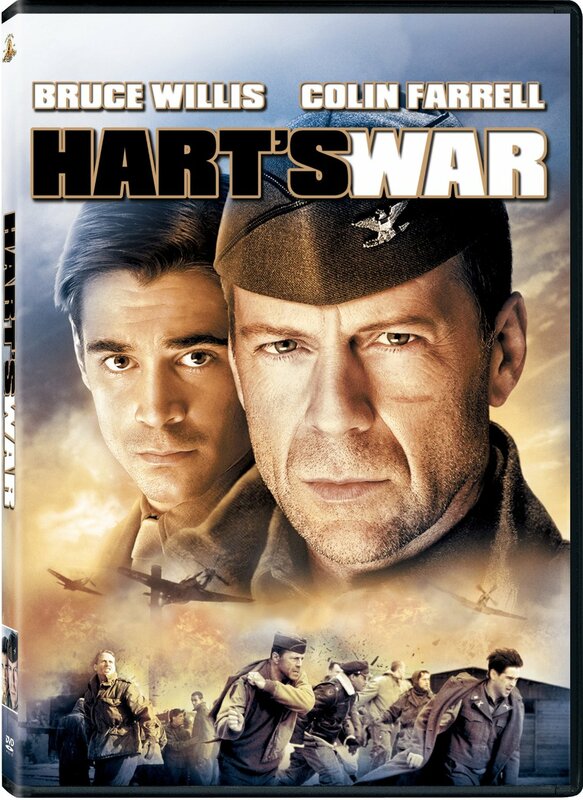 The cast, led by Collin Farrell, Bruce Willis and Terrence Howard is very good. There are a few scenes that feel pretty inconsistent and hinder the plot moving forward, but ultimately the story works well as a whole. Bottom Line – Great depiction of honor and duty during the stresses of war. Farrell, Willis and Howard are all superb. The storyline and plot are a bit inconsistent, but still manage to pull through. Not as great as Stalag 17 (1953), The Bridge on the River Kwai (1957) or The Great Escape (1963), but still a worthy entry into the genre. Recommended! Do you think Bruce was photo shopped on the front cover? I would have thought so 🙂 just thought it was amusing how youthful he looked! And? He would still have been in his 50s!! He still looks good anyway just balder and paler lol. I love Bruce!!!! Nice review. I can’t say I’ve ever heard of this film, but I do appreciate your recommendations Rob. Tnx vinnie. It isn’t perfect but still nicely done. Enjoy!